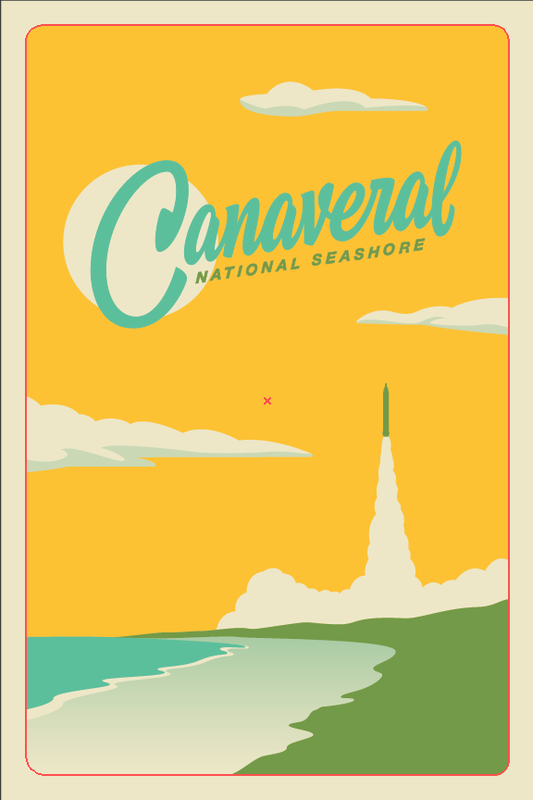 Canaveral National Seashore (CNS) and Florida especially, will always hold a special place in my heart. I've visited CNS a handful of times and always enjoyed the undeveloped natural beach. I could only imagine this is what most of Florida felt like 50-60 years ago. 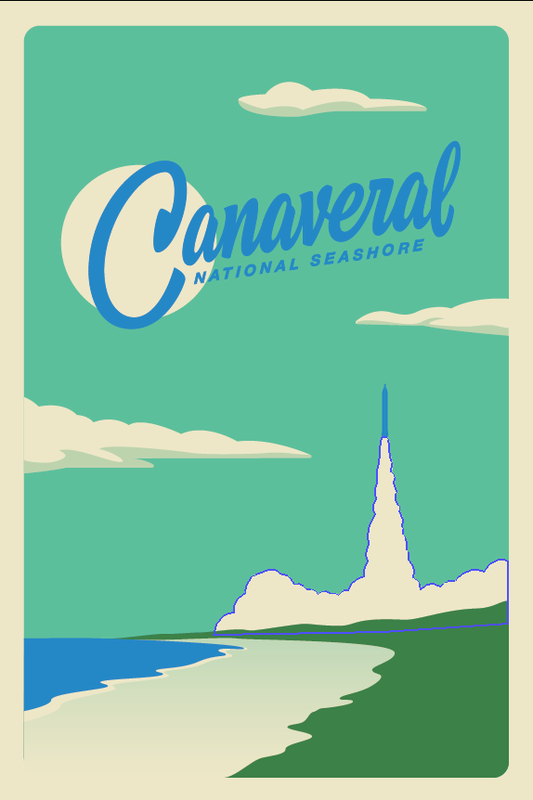 Although CNS was officially recognized by the National Parks Service in 1975, the preservation of this 25 miles of seashore started locally in the mid-century. 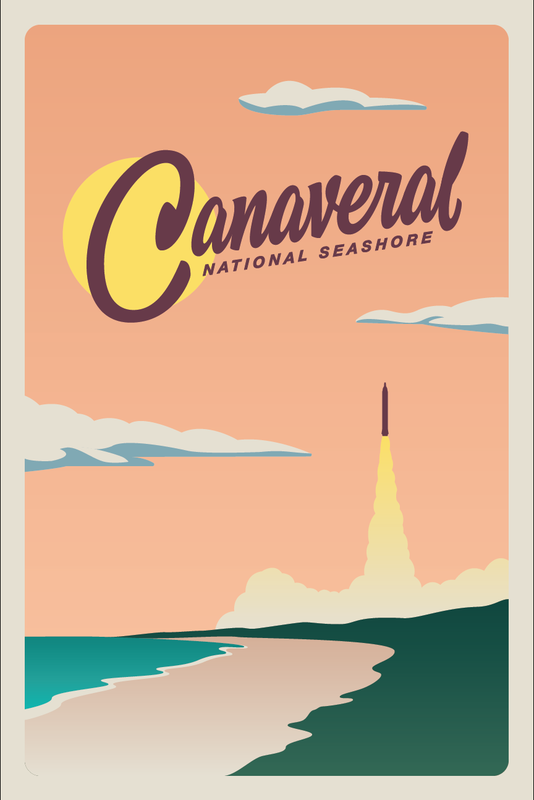 I chose to design this poster to pay homage to those times.